For treating unwanted and excessive hairs on the body parts, you can visit Marmm Klinik for laser hair removal in Indore. Our Procedures are well customized and personalized. There are various methods to remove hair growth on the body parts. 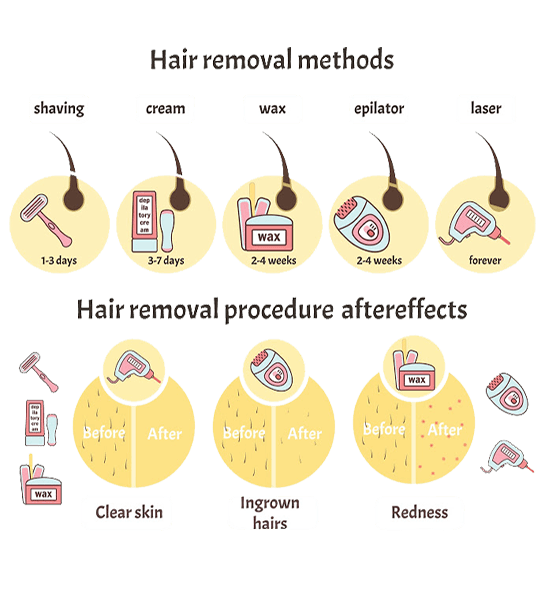 Usually, these methods remove hair temporarily- like waxing, tweezing or shaving In case you are not happy with this arrangement then maybe it is time for you to try laser hair removal treatment. 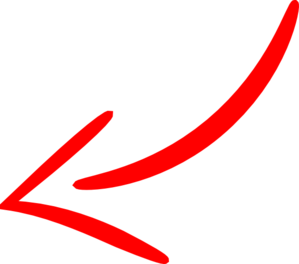 In this process, laser rays are used for laser hair removal. Usage of laser rays for hair removal is widely used and is quite safe. However, at the end of the day, it is a medical process that needs to be administered properly. In case of care is not taken then some of the damages like scarring or spots on the skin can be quite permanent. Hence you must ensure that the place that you are visiting for skin laser treatment is the best. During the laser hair removal process laser rays are beamed on the area from where the hair needs to be removed. The rays directly work on the hair follicles and make them inactive or dead so that the hair cannot grow back. Laser hair removal cost in Indore at Marmm KliniK can vary on the basis of the area from where the hair needs to be removed along with other factors. 4 to 6 sessions of laser cosmetic surgery may be required to achieve the permanent hair loss from the desired areas. Hair removal from the tummy area is also preferred especially when the tummy area is exposed in some of the attire. Both men and women have excessive hair in the abdominal area and may opt for their removal. Under arm is another area of the body where hair removal is usually opted for. Apart from the aesthetics, underarm hair also cause a lot of sweating which may lead to foul smell as well as infection in some cases. Facial hair removal is the most popular since excessive hair on the face can be embarrassing as well. Permanent hair removal from areas like upper lip, cheeks, forehead and chin can be both convenient and pleasing to the eye. Hair removal from the chest is also recommended. A lot of men do not like chest hair and go for shaving or waxing them away. Laser hair removal process can take away that frequent pain and provide a clean and clear chest. Hair removal from the lower neck area is also practised widely. This makes the body ready for any kind of fashionable clothes that one may want to wear. Some people have a lot of hair on their whole body & they are quite unhappy about it. They opt to go for full body hair removal which can be done through laser treatment. The neck is another exposed area of the body parts. Hence hair removal from this area is quite preferred by people who have excess hair. People who have realistic expectations, results may vary from person to person. Patients are the best candidates for laser therapy who have light skin dark hair. People who want long-term removal results, want to ignore things like shaving & waxing. People who have Large treatments areas are, easily feasible in laser hair removal therapy. People completed their research about the practitioner performing laser hair removal procedure. People who can handle a bit discomfort as it could be a little pain giving, otherwise okay. Treatment time is very fast, despite timing is mostly dependent on size of area being treated also, it is very successful, the patient can achieve complete hair loss in 3-8 sessions. Waxing, threading and epilating are painful procedures to put up ingrown hairs. In laser hair removal you don’t have to tolerate razor burns and irritation, it can even improve ingrown hairs. 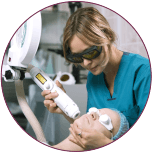 In laser treatment with the help of intense pulsed light (IPL) hair follicles are targeted to its root, precisely. It is also suited for treating people with dark skin tones with expert hands. We have a team of surgeons who are well qualified and trained in the field and have performed hundreds of aesthetic treatments. At Marmm, our surgeons make use of most advanced lasers available in the market to produce best results. Surgeons will hold a personal consultation with you prior to commencing a course of laser hair removal treatment.